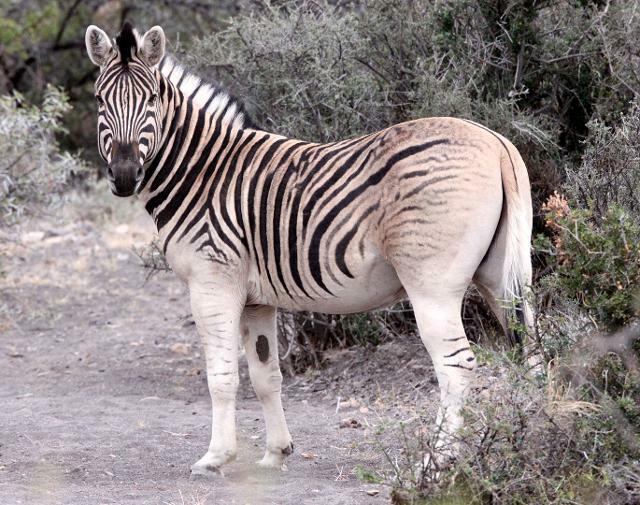 In South Africa's Karoo National Park, the Quagga Project is attempting to genetically back breed Plains Zebras in to the original, and currently extinct, Quagga Zebra that once numbered in the millions. This is one of the products of this project! 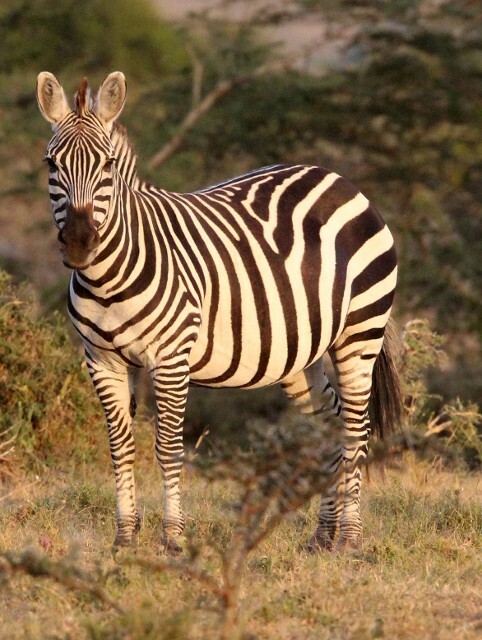 Found only in Northern Kenya and Ethiopia, the Grevy's zebra has a unique stripe pattern. 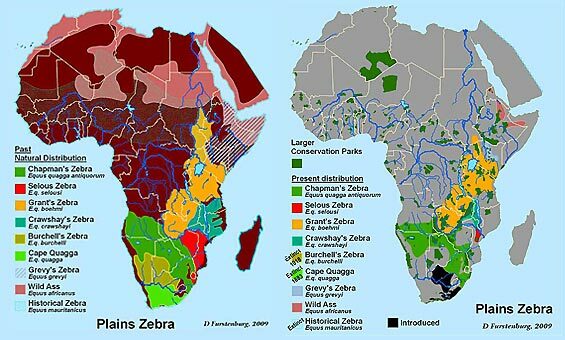 Common throughout Eastern Africa. 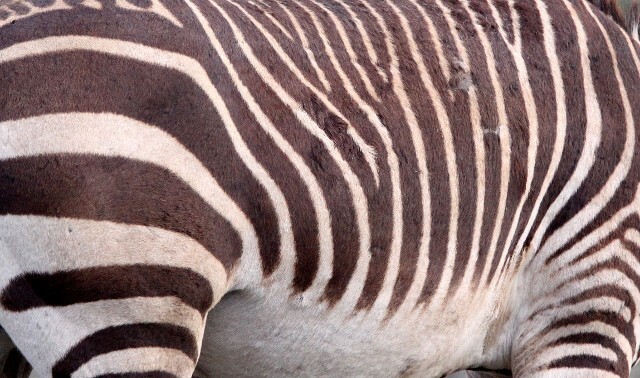 Note the clean and clearly marked stripes of this subspecies. 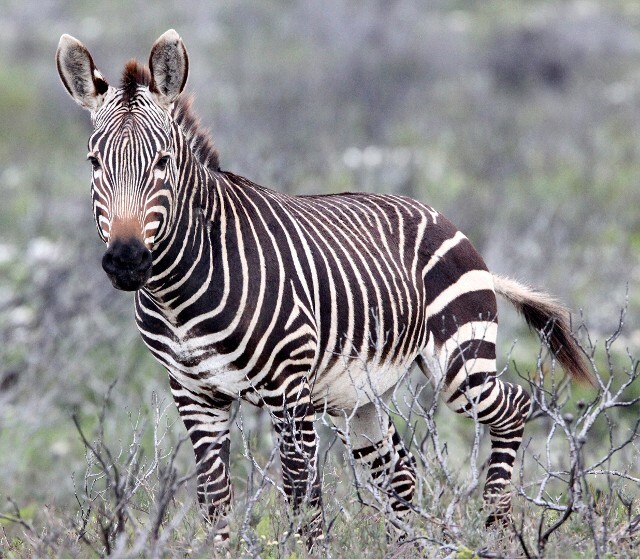 Often called Burchell's Zebra, Equus quagga boehmi is generally called Grant's Zebra. 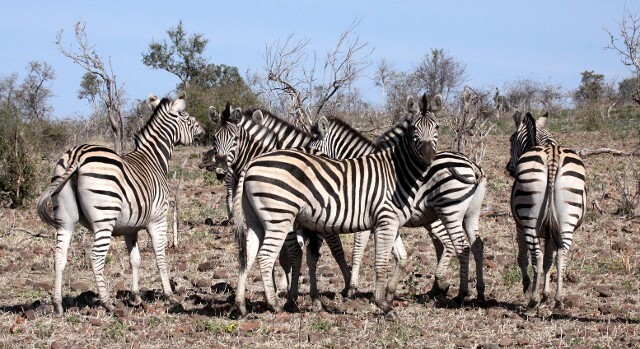 Burchell's Zebras are easily identified by their shadow or ghost stripes between their dominant black stripes. 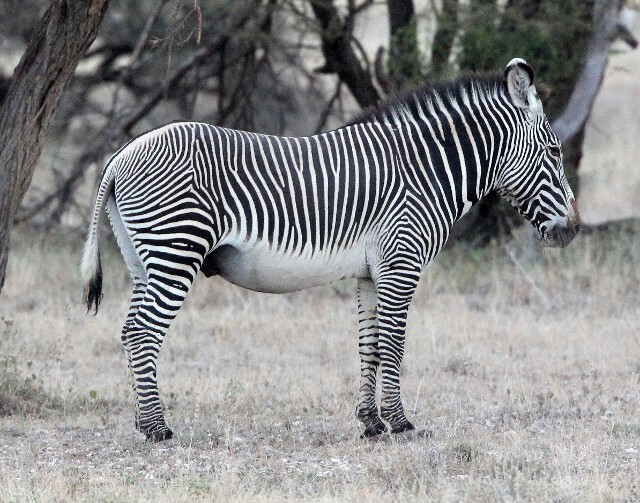 This is the Okavango type of Burchell's Zebra. 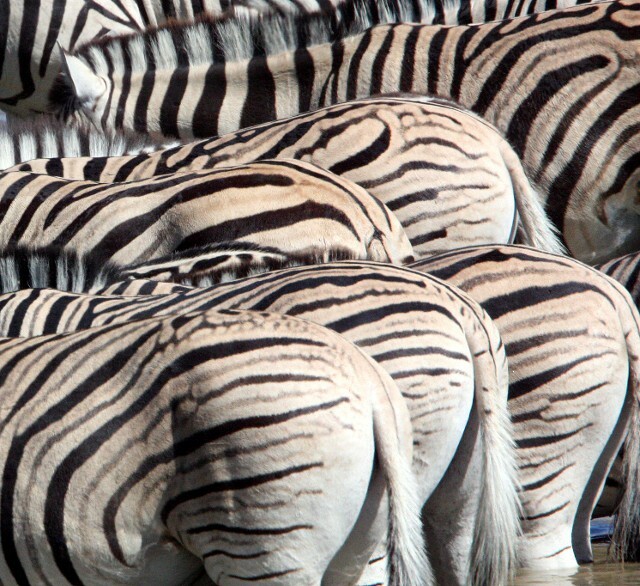 The Selous's Zebra of southern South Africa have darker ghost stripes. This variety comes from Imfolozi Reserve. 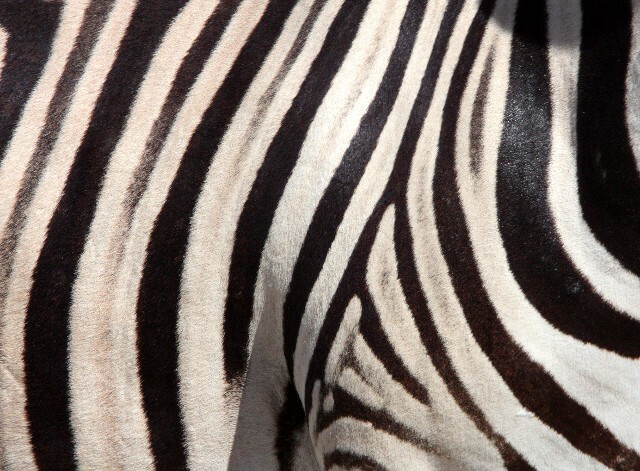 The variety of Chapman's Zebra found in Etosha (northern Namibia) have a very distinctive stripe pattern. 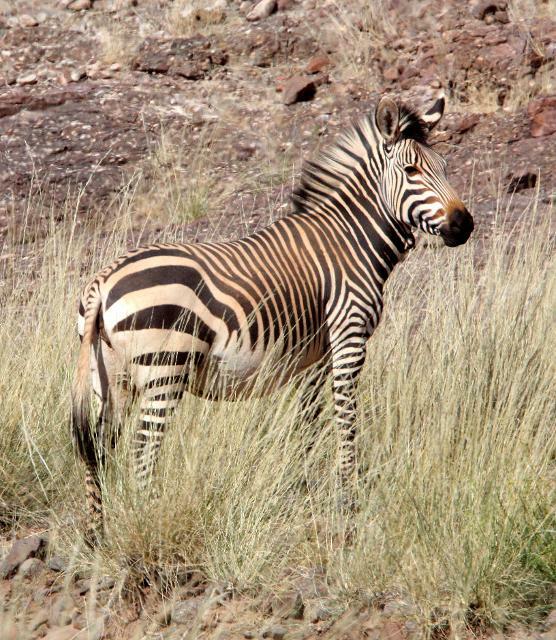 The Ethosha variety of the Chapman's Zebra. 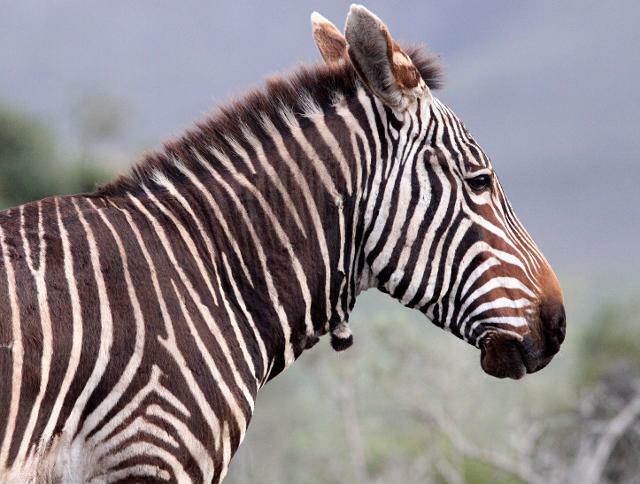 Found only in South Africa, the Cape Mountain Zebra are a unique species. 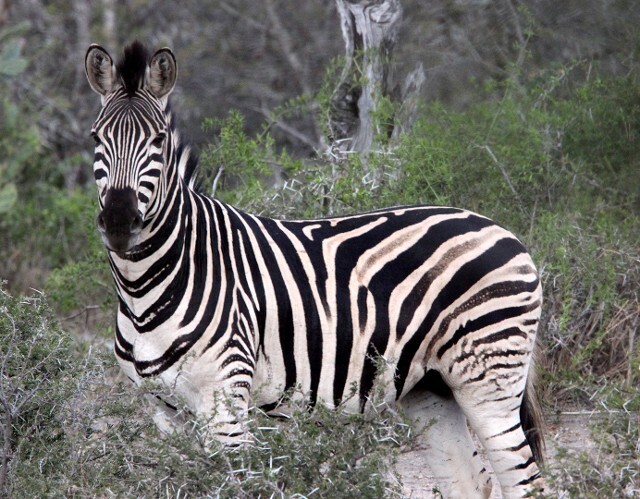 This one was seen in DeHoop National Park. 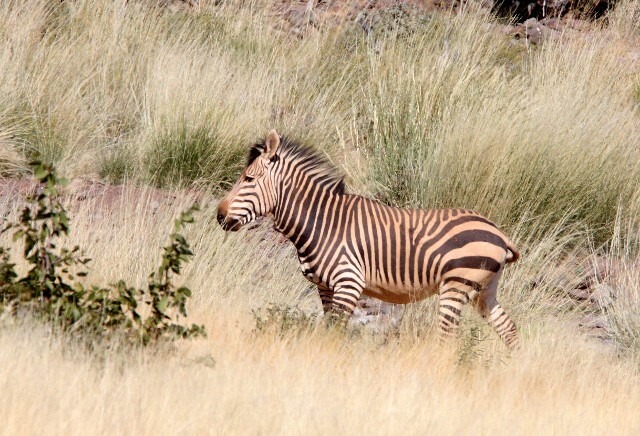 The golden-mantled Hartman's Mountain Zebra can be found in northern Namibia near the Kaokoveld region. 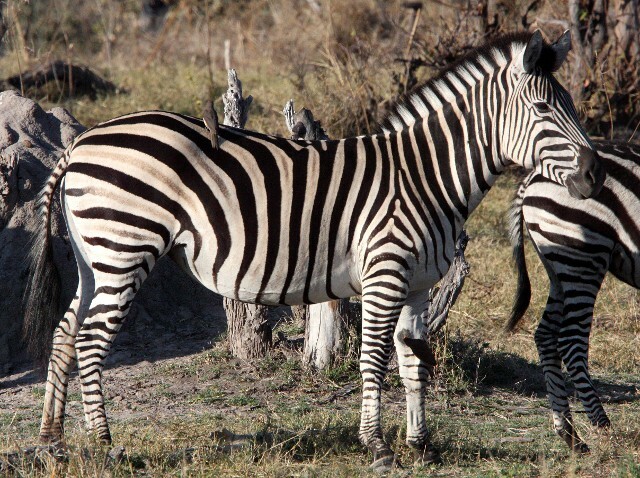 The shadow stripes are very faint in these Burchell's Zebra seen in Chobe National Park.